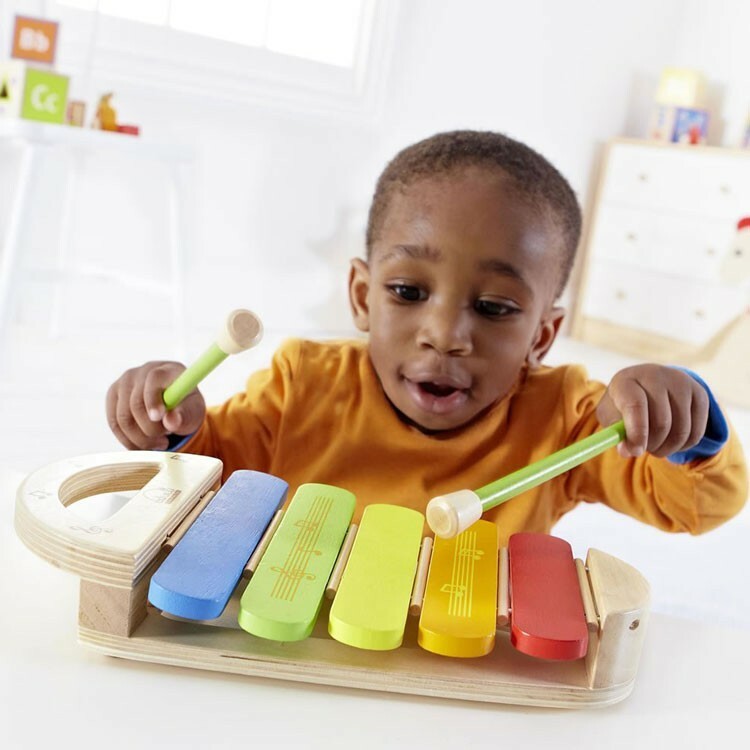 Learn colors, notes and dexterity with Hape's Rainbow Xylophone for toddlers. 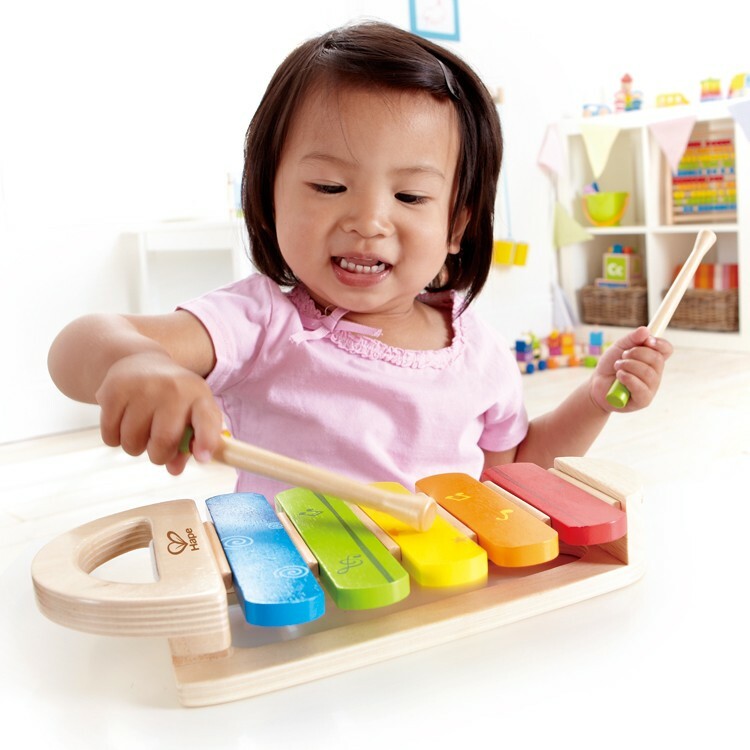 This wooden xylophone is a perfect first musical instrument for the little hands. 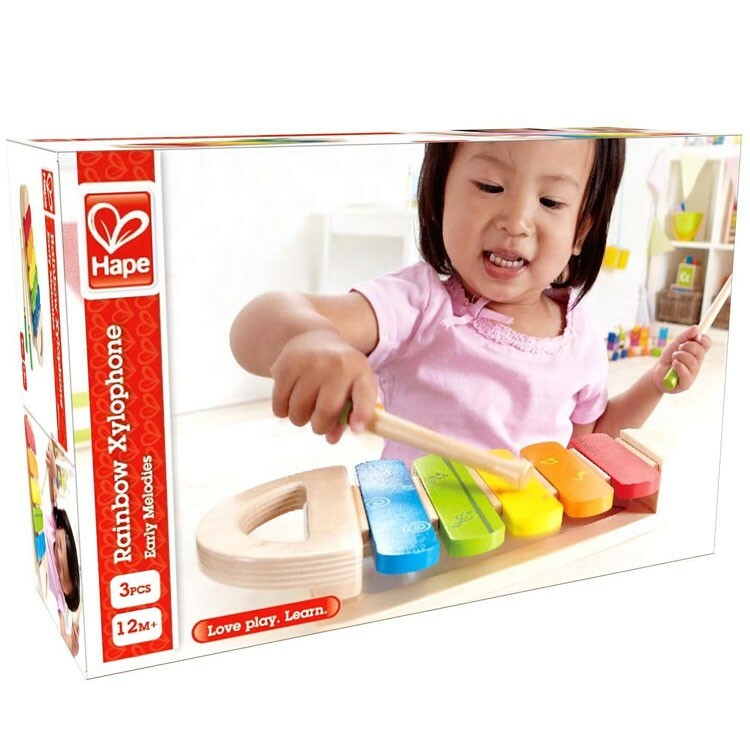 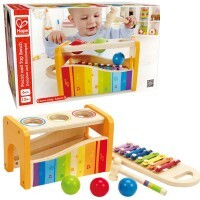 Rainbow Xylophone Toddler Musical Toy by Hape features a sturdy colorful toy xylophone and 2 pallets to hit the first notes. 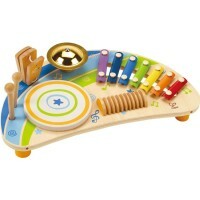 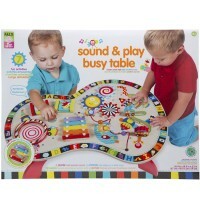 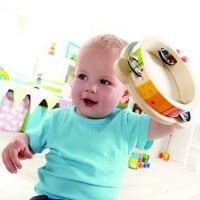 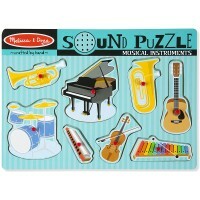 This toddler xylophone toy helps the youngest musician make the first musical sounds and learn their colors. 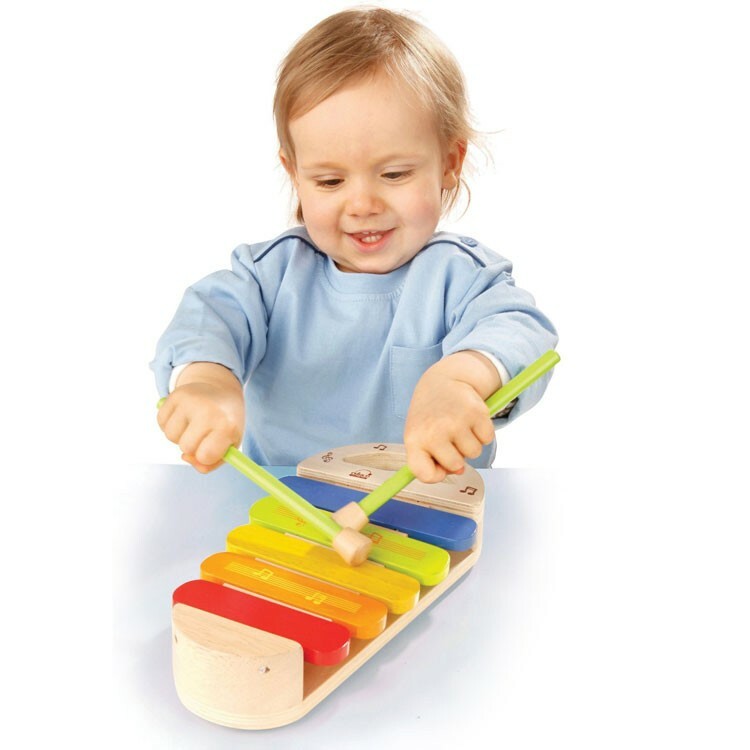 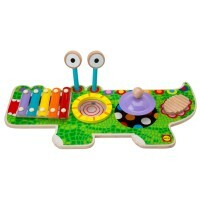 Rainbow Xylophone Toddler Musical Toy measures 10.6 x 5.1 x 1.7 inches. 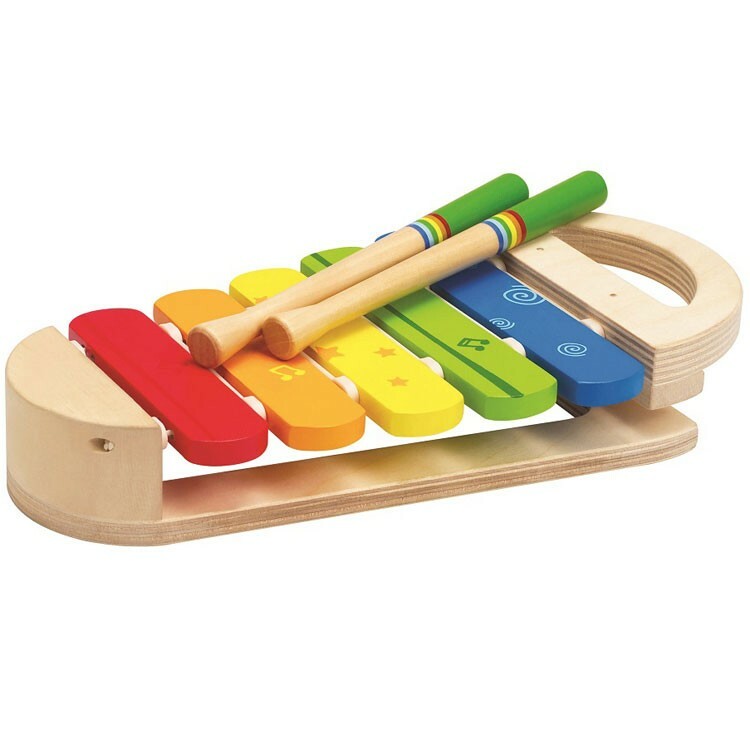 From Educational Toys Planet, this first kids musical instrument will inspire your little one to create rainbow of sounds and bring creative musical fun. 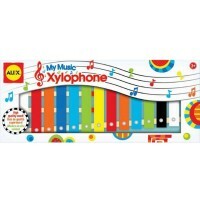 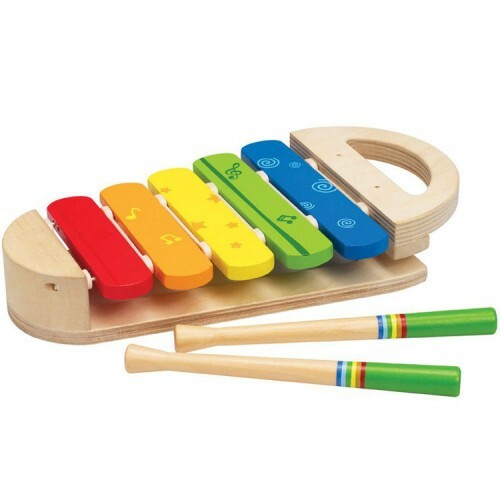 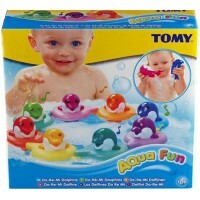 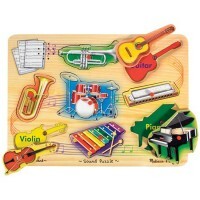 Dimensions of package 5.12" x 10.36" x 1.69"
Write your own review of Rainbow Xylophone Toddler Musical Toy.